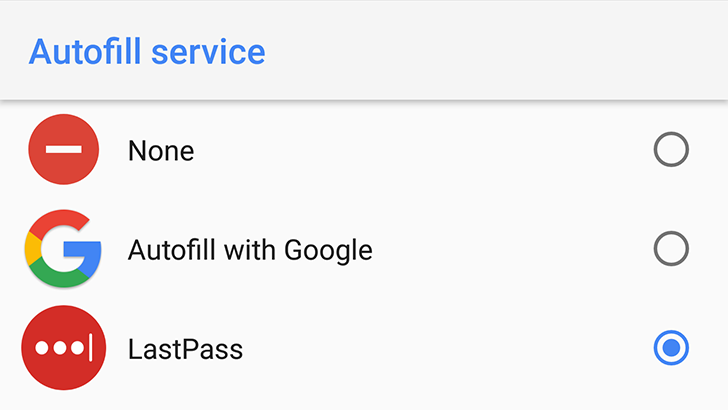 LastPass began its winding path to support Android Oreo's autofill API in August, but the day is finally here: The popular password manager has pushed support for Oreo autofill to its stable, non-beta app. Accessibility-based autofill is still available for older apps (and Chrome) that don't yet support the new implementation. Last week, Google began sending out emails to Android app developers regarding their use of Accessibility APIs. The intended purpose of that functionality is to assist disabled users, but it is often used for other functionality (to overlay content, fill in text fields, etc) by apps like LastPass. Google said that apps using this API for anything except helping disabled users would be removed from the Play Store.